This deluxe velvet cape will keep you hidden as you glide through the darkness. This deluxe velvet cape is made of 100% polyester and has a button closure along the neck. The exterior of the cape has a velvet touch and is black. The interior of the cape is made of red satin material. This cape also has a hood and is 63 inches long. 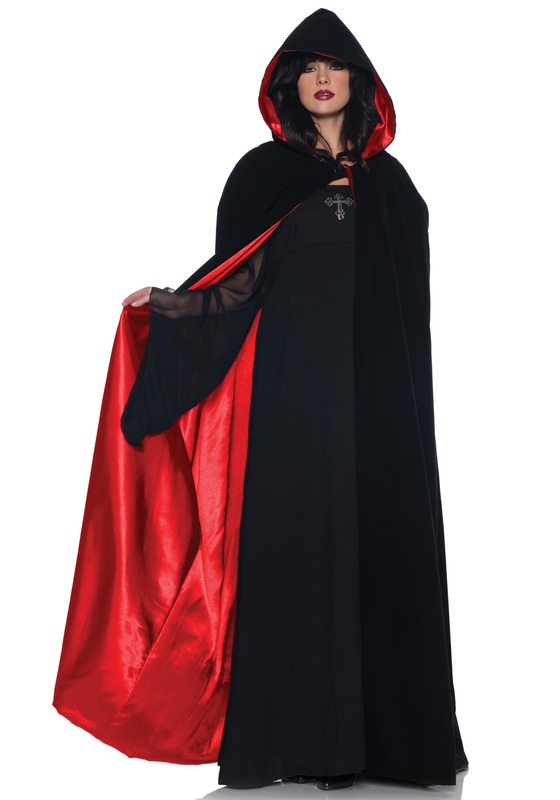 This luxurious cloak goes with our vampire costumes, devil costumes and more.